A Wisdom Tooth is part of the third and final set of molars located on each side of the upper and lower jaws. It usually comes out during late teenage years or early twenties; an adult can have a maximum of 4 wisdom teeth but, lesser in some cases. These teeth are valuable assets to the mouth when properly taken cared for, healthy and aligned but if contrariwise, it might result in oral issues and complications. At Lakewood Dental Trails, we want our patients to have a great smile by having a full complement of healthy and properly aligned teeth. Most wisdom teeth can come in impacted and can threaten the health of the teeth surrounding it. A dental X-ray will be first done by a dental professional to ensure if a wisdom tooth removal is needed. After the result of dental X-ray is released, and a wisdom tooth extraction is necessary, anesthesia will be provided to numb the extraction site as well as its surrounding area to prevent patients from feeling pain throughout the procedure. Local anesthesia - A local anesthesia is the most common anesthesia used in wisdom tooth extraction. It is injected near the site of extraction and would require one to two injections to numb the area and prevent pain during the extraction procedure. Patients are awake during the procedure. Although they may feel some pressure and movement, they won't feel any pain during the whole process. Sedation anesthesia - Sedation anesthesia subdues a patient's consciousness during the procedure which results for them to have a limited memory of the treatment process. Anesthesia is also given to numb the patient's gums. General Anesthesia - A general anesthesia is given after the dentist or anesthesiologist determine the type of surgery you are having and your overall health status. Patients lose consciousness and relax the muscles, the general anesthesia is administered intravenously (IV) or inhaled and is known to be medically induced which causes total amnesia within a limited time span. A wisdom tooth left unextracted might lead to oral infection and can even affect your overall health. 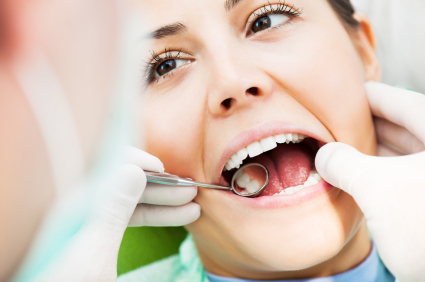 Will you wait for more severe oral problems before getting your wisdom tooth extracted? Let Lakewood Dental Trails help prevent any causes of oral issues due to a wisdom tooth problem. For inquiries about Wisdom Tooth Extraction in Temple, TX, book your appointment with us at Lakewood Dental Trails. You can also visit us at 10252 W. Adams Ave #101, Temple, TX 76502.